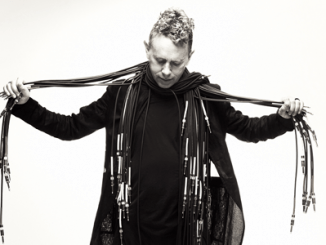 Martin Gore has announced a remix EP on double 12” vinyl and digital release, out on 2 October 2015 via Mute. The vinyl will include remixes by Andy Stott, Virgil Enzinger and Christoffer Berg, alongside two previously unreleased tracks. 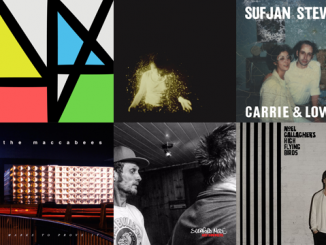 In association with BitTorrent, Martin is also launching a remix competition for the track Featherlight. The winning remix will be included on Martin’s digital release of the EP. See below for details on how to enter to win. 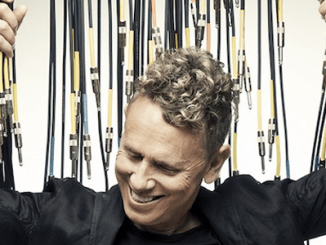 MG, released on Mute in April 2015 marks the first solo instrumental album from Depeche Mode’s Martin Gore. Described by Pitchfork as “a careful sculpting of electricity and air”, the album creates an absorbing and emotional sonic landscape. Download the exclusive MGxMG Remix Bundle – to unlock exclusive videos and the stems for Featherlight. Create your own remix version, and upload it to Soundcloud. One remix will be chosen for a feature on MG’s upcoming digital EP, out 2 October 2015. The deadline for submission is 21 August, with a winning remix announced 31 August. Grab the stems https://bundles.bittorrent.com/bundles/mgxmg, and post ‘em up on https://soundcloud.com/groups/mgxmg-remix-competition. MG is out now on Mute.